The boys’ basketball team had a weekend to remember with showdowns against some of the top teams in the country. On Friday, January 25, the Knights lost a heart-breaker to Roselle Catholic by a score of 48-47. Roselle Catholic came into the game ranked second in New Jersey and 17th in the nation. 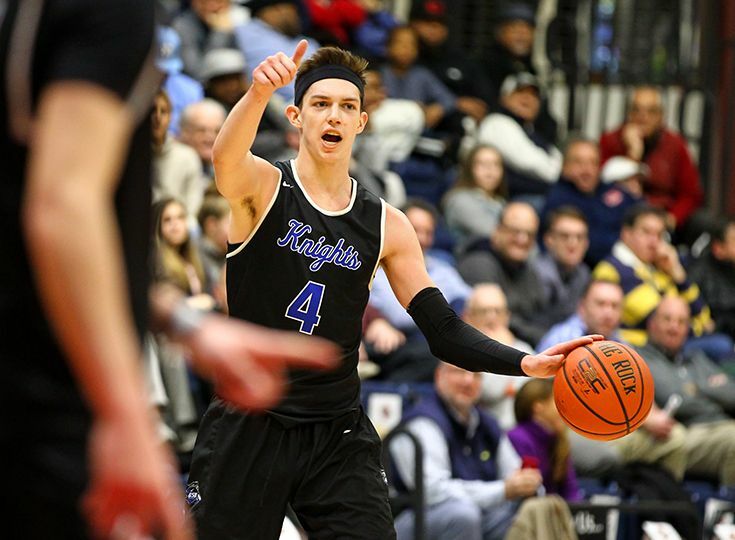 Things were not going to get any easier for Gill as the Knights were scheduled to take on Ranney, the number one team in New Jersey and 6th ranked squad in the nation. Coming off a tough loss against a high-profile program could have spelled disaster for Gill. Except, the boys did not let the loss bring them down; it actually inspired them. The Knights took their coach’s words to heart as they then rallied to defeat Ranney 62-60. It was the epitome of a team win as many players contributed to the victory. Connor Murphy ’19 had 20 points and 11 rebounds and fellow senior Paul Mulcahy had 13 points, eight assists, and seven rebounds. A pair of juniors also had great games as Zach Martini recorded 10 points and 10 rebounds while Will Soucie contributed 13 points as well. With the win over Ranney, the boys’ basketball program is now currently ranked second in New Jersey by NJ.com. The Knights next take the court on Tuesday, January 29 against Hunterdon Central.